Federal immigration agents Wednesday raided nearly100 7-Eleven franchise stores in 18 states and Washington, D.C., including four in Los Angeles and one in Culver City, in the largest operation against an employer under Donald Trump’s presidency. 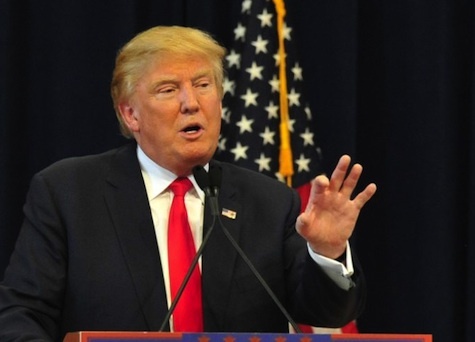 businesses are operating with employees who have proper work authorization,” according to the federal agency. Twenty-one people suspected of being in the U.S. illegally were administratively arrested and given notices to appear in immigration court, according to ICE. Five stores were raided in Southern California — four in Los Angeles and one in Culver City, said ICE spokeswoman Lori K. Haley. 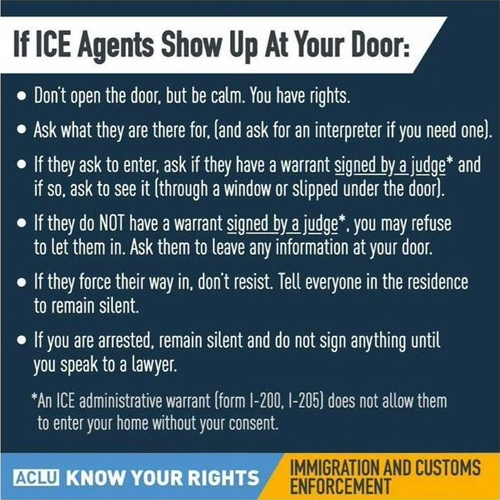 ICE did not release specific locations, but one of the stores was in the Koreatown area, where a lone employee with a valid green card was working when more than a half-dozen agents arrived and closed the store for about 20 minutes, according to The Associated Press. The agents, who arrived in unmarked cars, told arriving customers that the store was closed briefly for an inspection. Derek Benner, a top official at ICE, told the AP that the operation was “the first of many” and “a harbinger of what’s to come” for employers. “This is what we’re gearing up for this year and what you’re going to see more and more of is these large-scale compliance inspections, just for starters. From there, we will look at whether these cases warrant an administrative posture or criminal investigation,” said Benner, acting head of ICE’s Homeland Security Investigations, which oversees cases against employers. In 2013, ICE conducted an investigation into various 7-Eleven franchises that resulted in the arrest of nine franchise owners and managers for conspiring to commit wire fraud, stealing identities and concealing and harboring illegal immigrants employed at their stores. All but one — who remained a fugitive until his arrest in November 2017 — pleaded guilty and were ordered to pay more than $2.6 million in restitution for back wages stolen from workers. Tuesday’s notices of inspections were served in Washington, D.C., and in the states of California, Colorado, Delaware, Florida, Illinois, Indiana, Maryland, Michigan, Missouri, Nevada, New Jersey, New York, North Carolina, Oregon, Pennsylvania, Texas, Virginia and Washington. Irving, Texas-based 7-Eleven Stores Inc., which has more than 8,600 stores nationwide, released a statement in response to the raids, saying its “franchisees are independent business owners and are solely responsible for their employees, including deciding who to hire and verifying their eligibility to work in the United States. This means that all store associates in a franchised store are employees of the franchisee and not 7-Eleven Inc.
Benner said the Trump administration is pursuing “its own kind of unique strategy” tied to its broader emphasis on fighting illegal immigration, including enforcement on the border. Some workers may get arrested in the operations, but authorities are targeting employers because they are job magnets for people to come to the country illegally. The House Democratic Caucus formally approved Congresswoman Lucille Roybal-Allard (CA-40) selection as the Ranking Democrat on the powerful House Appropriations Subcommittee on Homeland Security. She has been a member of the Homeland Security Subcommittee since its creation in 2003. Roybal-Allard makes history as the first Latina to serve in the position. “It is an honor to be selected by my colleagues to be the Ranking Democrat on the House Homeland Security Appropriations Subcommittee,” the Congresswoman said in a written statement. She gave special thanks to House Democratic Leader Nancy Pelosi, House Democratic Whip Steny Hoyer, and House Appropriations Committee Ranking Democrat Nita Lowey for their invaluable support. “Members of Congress have no more sacred obligation than to protect the safety and welfare of the American people” and “Congresswoman Lucille Roybal-Allard will lead Democrats’ efforts to ensure our federal agencies have the resources needed,” said Pelosi. “Congress is strongest when it recognizes the full diversity of perspectives, experiences and backgrounds that is America,” said Pelosi, adding, “we are proud that this moment in history belongs to such an experienced and dedicated Member of the Democratic Caucus. 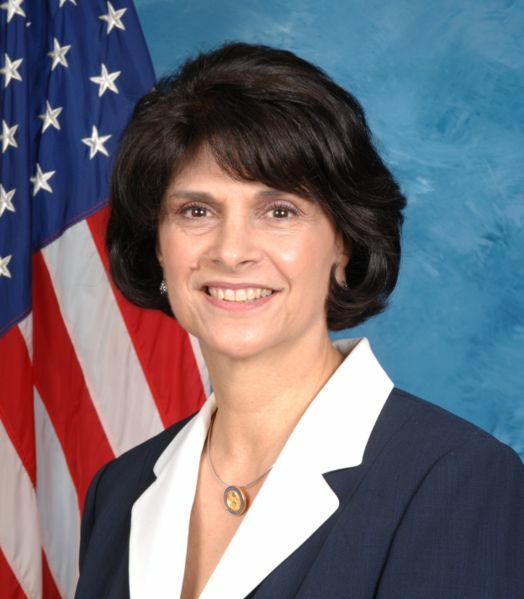 Roybal-Allard pointed out that “The Homeland Security Appropriations Subcommittee has traditionally taken a fairly bipartisan approach, with Republicans and Democrats working towards the common goal of protecting our country.” She said she looks forward to working with Subcommittee Chairman John Carter and other members of the subcommittee on their important work. Roybal-Allard said she will continue to work implement the President’s immigration actions. Her priorities include: advocating for bipartisan comprehensive immigration reform; protecting our borders; holding Customs and Border Protection accountable for its use of force practices and its treatment of unaccompanied children and families; pushing Immigration and Customs Enforcement to provide better data on how it is enforcing immigration laws; improving aviation security; expanding in-bound cargo scanning; strengthening our Coast Guard and our Secret Service; enhancing cybersecurity through increased collaboration with the private sector and investments in federal networks; and providing DHS grants to help our state and local public safety officials. No matter what state we come from or which party we represent, every Member of Congress is entrusted with the sacred responsibility of keeping our nation safe. Unfortunately, on Friday, February 13, the House Republican Majority decided to leave Washington, D.C. for a week-long recess, even though there are only four more legislative days until the Department of Homeland Security shuts down. If DHS funding is allowed to expire at the end of February, 85 percent of essential DHS personnel, such as our front-line federal agents and law enforcement officers, will be required to work but without pay. Is this fair – to expect these dedicated Americans to put their lives on the line without pay and the ability to provide for their families? I think not. And I believe the American people would agree that this is unfair. Department of Homeland Security is currently trying to fulfill its mission under the uncertainty of a Continuing Resolution, which will expire on February 28. The Secretary of Homeland Security has warned that not having a 2015 appropriation threatens our national security. The lack of a full-year budget, he says, is delaying the issuing of preparedness and response grants to state and local governments. Without these grants, many of our first responders and other public safety personnel are at risk of not being fully prepared when responding to earthquakes, floods, fires, and even terrorist attacks. Not having a full-year budget limits the Secretary’s efforts to make the department more effective in achieving its security missions, as well as his ability to aggressively implement his Southern Border and Approaches campaign. It also creates uncertainty about ICE’s ability to transfer unaccompanied children to the Department of Health and Human Services for humane treatment, and its capacity to detain and deport dangerous criminals. Moreover, operating under the lower allocations and uncertainty of a Continuing Resolution has the potential to delay and ultimately increase the cost of needed procurements, including the Coast Guard’s 8th National Security Cutter, the hiring of new Secret Service personnel, and the installation of badly needed security upgrades at the White House Complex to prevent fence-jumper intrusions. While I do not question the commitment my Republican colleagues have to protecting our country, I do worry that some fail to fully appreciate the negative impact of inappropriately using the 2015 DHS Appropriations bill as leverage to reverse the President’s executive actions on immigration policy. If my Republican colleagues believe the President has overreached, the Constitution provides them a path of action through the authorizing committees rather than an appropriations bill. On February 10th, I, with my colleague Congresswoman Nita Lowey, introduced H.R. 861. Our bill contains no poison pill riders or radical anti-immigrant language. It simply has the text of the bipartisan funding bill the House and Senate Homeland Security Appropriations Subcommittees negotiated last November, and funds the Department of Homeland Security through the end of Fiscal Year 2015. The bill is co-sponsored by all 188 voting House Democrats, and unlike the Republicans’ funding bill, it is capable of passing Congress and being signed by the President. All our bill needs is for Speaker Boehner to bring it to a vote in the House. At a time when we are increasingly faced with the possibility of terrorist threats and natural disasters, I urge the Republican leadership to support H.R. 861, modeled after the clean, bipartisan, bicameral 2015 Homeland Security Appropriations bill negotiated in good faith last November. Protecting our national security should never be a partisan issue. It is time for Republicans and Democrats in Congress to come together to protect our country and keep the American people safe. To do otherwise is a failure in our most basic responsibility as Members of Congress. U.S. Congresswoman Lucille Roybal-Allard is a Democrat representing California’s 40th Congressional District. She has been recommended to be Ranking Member on the House Homeland Security Appropriations Subcommittee.